Eff likes to play with tentacles! 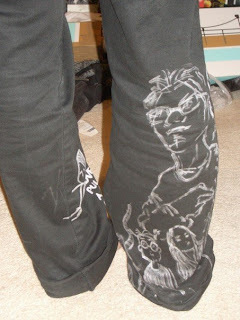 : Scribbly pants. My brother Andrew is having one of his short films screened at the Screenplayer Film Festival in Singapore on November 9th. It's bring your own beer and pillows kinda thing and sounds like a ball of fun.